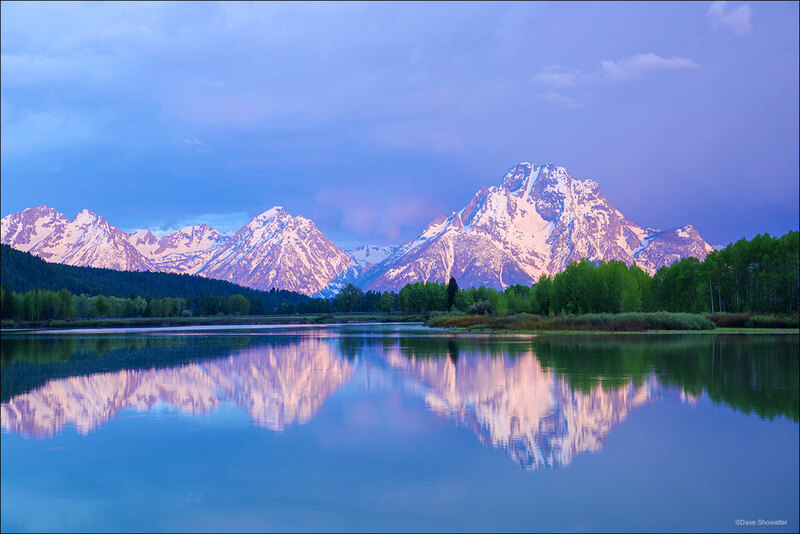 On a stormy early summer morning, a sun break reveals the full grandeur of Mount Moran and the Teton Range. The Oxbox bend in the Snake River is one of the wildest places in Greater Yellowstone, never the same twice. Photo © copyright by Dave Showalter.